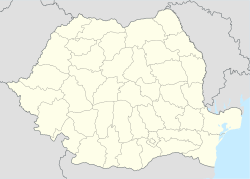 Baia Mare (Romanie pronunciation: [ˈbaja ˈmare] ( listen); Hungarian: Nagybánya; German: Frauenbach; Ukrainian: Бая-Маре; Laitin: Rivulus Dominarum; Yiddish: באניע‎, Banya) is a municipality alang the Săsar River, in northwastren Romanie; it is the caipital o Maramureș Coonty. ↑ "Bielsko-Biała - Partner Cities". 2008 Urzędu Miejskiego w Bielsku-Białej. Retrieved 2008-12-10. This page wis last eeditit on 11 Mairch 2018, at 16:27.